Discover TechnoWine : our expertise, our philosophy and our products. TechnoWine was created by Franck Rambaud in 2010, to answer Professionals’ needs in Wine by the Glass Preservation and Serving systems. Graduated from the Nice Hotel and Catering School and developed his experience with gastronomy and pretigious wines in his different positions of Director of Catering around the World. Working primarily for upscale properties such as the Hotel Sofitel Miami, the Curaçao Caribbean Hotel, or the Aerostar Moscow Hotel. 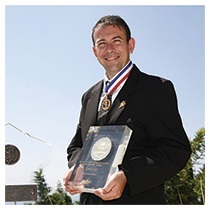 In 2004, when he comes back to France, he started his business with WineMania trading Grands Crus and rare Vintages Worldwide. Understanding his customers’ needs to preserve and mature such kind of prestigious Wine and Champagne, he then created a business to sell Wine Cellar Cooling Systems. As he still had contacts with other Professionals of the Horeca Industry Franck Rambaud realises that new trends were putting their profit at risk. The amendment of laws and the economic uncertainties in Europe has modified Wine consumption behaviors. TechnoWine brand was created in 2010, as an answer to those changes, to bring solutions to new challenges Professionals of Cafes, Hotels and Restaurants were facing. .
TechnoWine designs, manfactures and sells Wine by the Glass Preservation and Serving equipments for still wines, sparkling wines and Champagnes. TechnoWine solutions are primarily designed for Professionals willing to develop their Wine by the Glass selection and increase their profitability and turnover. 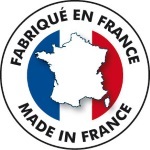 Franck Rambaud and his team are looking to provide reliable top quality solutions, they design and manufacture all TechnoWine brand equipments in France. The machines are developed, manufactured and assembled with the utmost care by an experienced team of technicians. Our equipments’ quality is our primary focus. They are designed and built to be resistant, thanks to quality europeans components. We know that time really matters to Professionals and every minute should be spent to better serve customers. That’s why our TechnoWine systems require a low level of maintenance. We also know that space is critical for Professionals: each and every square meter can be used to increase capacity and generates additional revenue. Our innovative technologies allow us to address both needs with small size equipments. Perfectionist and eager to offer even more innovative systems TechnoWine team always looks for opportunities to improve existing equipments while developing new products. To discover our new solutions, you can check out our new products page. You can also be kept up-to-date about our new developments or events by subscribing to our newsletter.